Micromint Bambino 210 SBC The Micromint Bambino 210 is a multi-core SBC designed for compatibility with the mbed framework. It is powered by an NXP LPC4330, a dual-core ARM Cortex-M microcontroller. Its Cortex-M4 and Cortex-M0 cores are both capable of 204 MHz. The Bambino 210 is available for under $27 in single quantities. Micromint Bambino 200 SBC The Micromint Bambino 200 is the first multi-core SBC compatible with the .NET Gadgeteer and mbed frameworks. It is powered by an NXP LPC4330, the first dual-core ARM Cortex-M microcontroller. Its Cortex-M4 and Cortex-M0 cores are both capable of 204 MHz. The Bambino 200 is available for under $25 in single quantities. Micromint Lincoln 60 SBC Powered by a 120 MHz NXP LPC1769 ARM Cortex-M3 core, the Micromint Lincoln 60 can fulfill demanding requirements in signal processing, monitoring, instrumentation, data acquisition, process control, factory automation and many other applications. The Lincoln 60 uses the compact picoITX form factor and is available for under $55 in single quantities. 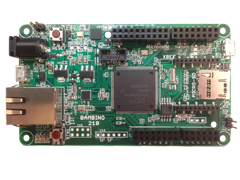 Our Bambino, Lincoln and Eagle product lines take advantage of the high efficiency and low cost of the ARM Cortex-M microcontrollers by NXP and Texas Instruments. Starting below $25 in single quantities, these controllers are a great choice for data loggers, process controllers, smart instruments and many other applications. Our Electrum product line is based on the the ARM9 with Debian Linux. With a 400 MHz Atmel AT91SAM9G20 and starting below $100 in single quantities, the Electrum offers unparalleled price/performance for applications that require reliable multitasking and extensive networking functionality. Our highly popular Domino modules are used in thousands of installations worldwide. Programmable in BASIC and with the most popular I/O interfaces, you can get your embedded application up and running very quickly! 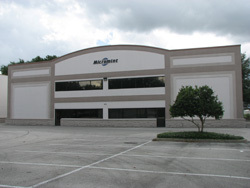 In June Micromint USA moved to a new industrial facility. Our new location allows us to expand our production capacity and add new automated SMD equipment to our manufacturing lines. We are still located at Lake Mary, Florida, one of the best locations for business in the Southeast. Please make a note of our new address and phone numbers. Micromint's Eagle 100 is a single-board computer powered by a Texas Instruments ARM-Cortex M3 core. Eagle 100 is designed for cost-sensitive control applications that require real-time performance, networking and extensive support for popular peripherals. 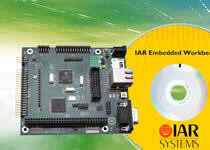 Eagle 100 comes with IAR Embedded Workbench for ARM and a wide range of code examples that give you a rapid start. The Getting Started webinar was held on December 4th but is now available to download and view at your convenience. What IDE do you use to develop your embedded applications?